Since January 2018, Booksellers NZ has gained seven brand new members from everywhere from Vulcan Lane in Central Auckland, through to Twizel in South Canterbury, as well as online store Five Dogs Books. This trend is reflective of a worldwide trend towards bookshop ownership becoming more popular, as reported in The Guardian earlier this month, and reflected in figures from the US showing a 35% rise in numbers of indie bookshops. Booksellers NZ membership is now sitting just shy of 200, and includes all Paper Plus and Take Note community franchise stores, and our Book Tokens and Gift Cards are valid at all of the shops in this nationwide chain, as well as our independent members. The Twizel Bookshop was opened by Renee Rowland in August 2017, and she opened the store after a busy corporate career because she says, ‘It was just time to start honouring what I loved and was good at instead of trying to fit into something else. Another Chapter opened opposite the Wellington Hospital in November 2018, and Owner Lorna Bingham, who is also a nurse says, ‘I opened Another Chapter to provide an inspiring space for staff of and visitors to the hospital to be able to have a little time out from busy caretaking roles to be able to enjoy browsing & buying books, cards and gifts. Not only are bookshop numbers on the rise, but so are sales figures, according to Nielsen Book. There was a 1.6% growth in value, and 3.5% in volume for 2018, in comparison to 2017. We believe that booklovers of New Zealand are gradually coming to understand the value of the bookshop in their own neighbourhood. They know they employ local people, they curate their bookshops with their customers in mind, and they are most importantly, wonderful places to be. This is the future of our retail environment. Founded in 1921, Booksellers NZ is the membership association for bookshops in New Zealand. It is a national not-for-profit trade organisation, and it works to help independently owned and chain bookstores to grow and succeed. Booksellers NZ provides education, information, business products, and services; creates relevant programs; and engages in public policy and industry advocacy. A volunteer board of seven booksellers governs the Association. 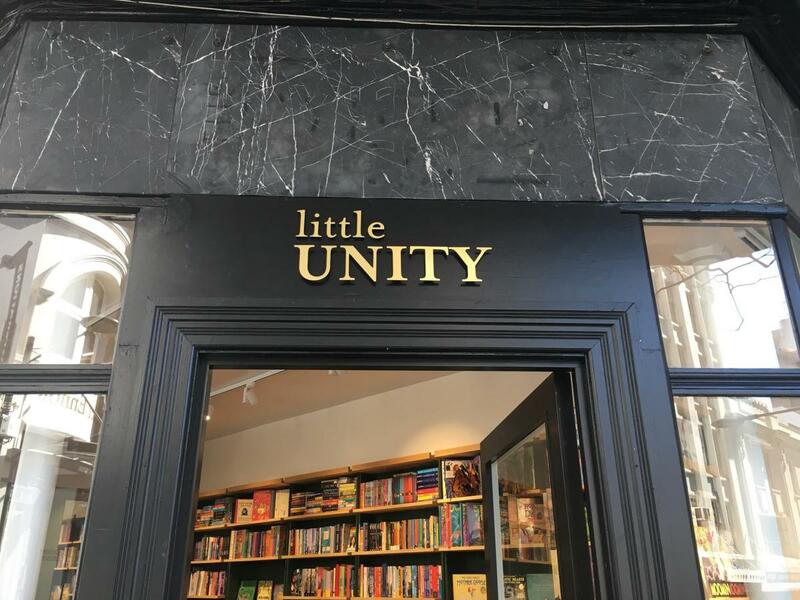 The seven shops are: Little Unity in Auckland, Onehunga Books & Post in Onehunga, Martinborough Bookshop (opening soon), Another Chapter in Wellington, online store Five Dogs Books, The Twizel Bookshop and Petronella’s Books in Lake Tekapo.